Time to Remodel or Trade Up your Sandy UT Home? There are many reasons that my clients tell me that they are interested in buying a new home. Some of the more popular reasons would be that they 'need more space' or it is time to get a more 'modern' you name it: Master Suite, Kitchen, Garage etc. There are also other reasons that their current home doesn't meet their needs: move closer to their new job, a new baby are just a couple reasons. Buying a new home is not always the only solution. 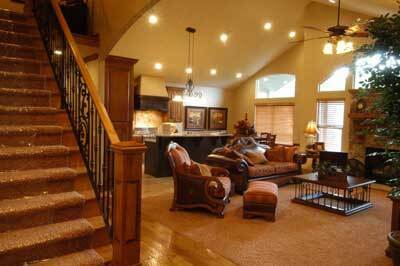 In fact there are occasions when remodeling or renovationing your existing home makes sense. Here are a few things to consider. Buying a new home means that you will be selling your existing home. Many times the desire for more space brings you into the buy/sell situation. Understand that lending standars have changed since you last purchased a home. They are tighter than they were when you got your present loan. For most people it's nearly impossible to buy a home without first selling their existing home. Buying and simultaneously Selling your home can be stressful. Not knowing if your home will sell for the price you want or need, while looking at homes and getting your heart set onmoving is a gamble many people are not willing to make. There are many costs involved. While the Seller will pay the real estate agent's commission, there weill also be closing costs for your buy side, plus moving costs and more. Making your existing home a more desirable place to live doesn't mean that you have to completely tear the home down, it can be as simple as changing the color of your kitchen or addin new cabinets or appliances or it can be adding a bedroom in the basement or a 'Man Cave' in the basement. These changes can add value to your home as well as to your life. Whether Buying or Selling or Remodeling your Sandy Ut home, think hard about your options, do the math and consider the consequences of moving to a new area and leaving friends and making new friends. Either way as both a licensed Real Estate Asosociate Broker and a licensed General Contractor, I would love to help make your home perfect for you and your family. Give me a call.